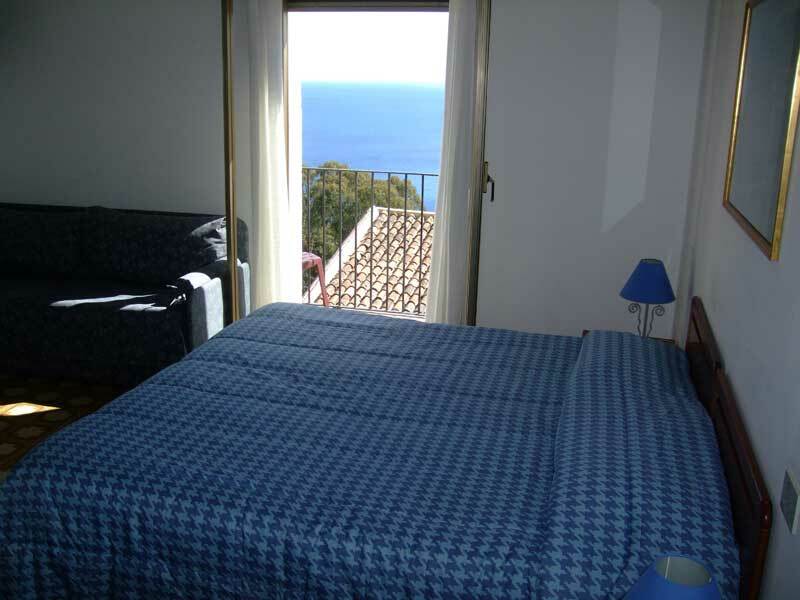 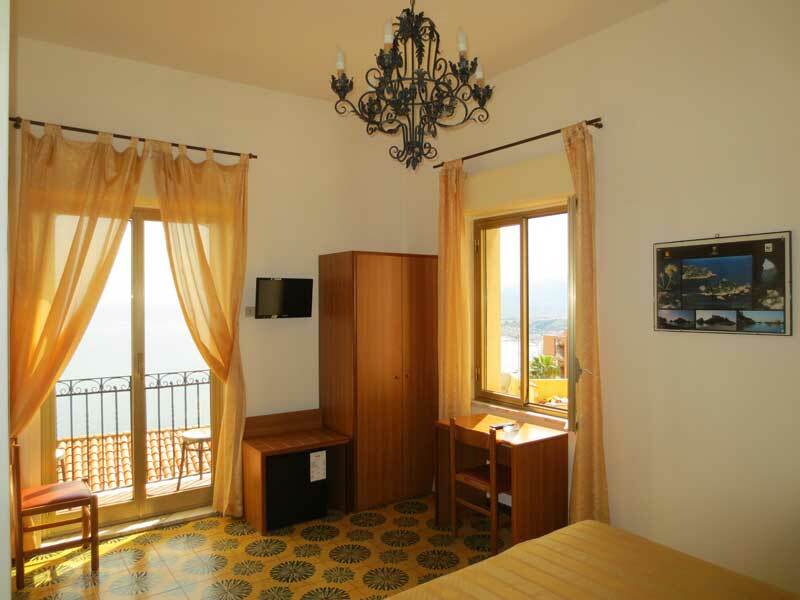 The hotel has rooms that range from double to triple, quadruple and single, almost all of them with a view of the sea. 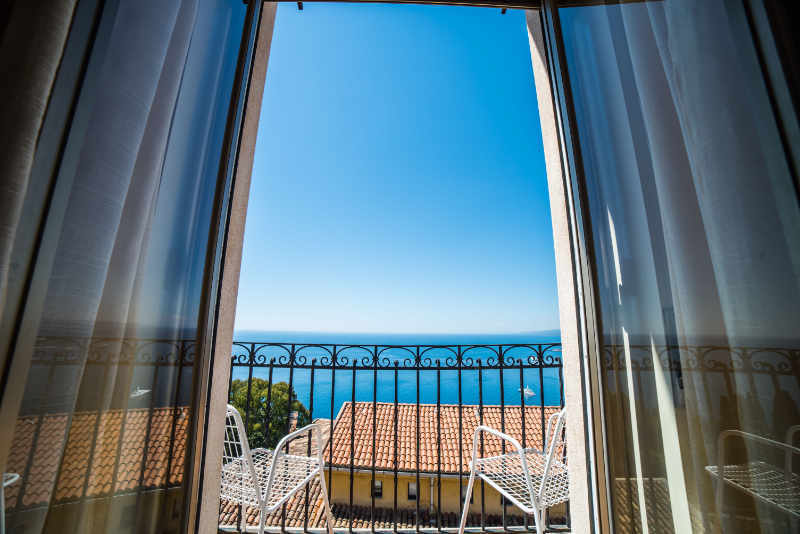 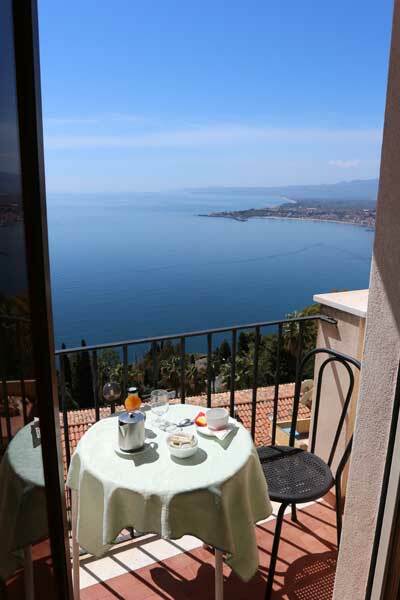 It also has a huge terrace where guests may enjoy a view of the Gulf of Giardini Naxos and of the eastern coast, of Mount Etna with its snowy peaks and occasional eruptions and lava flows and, naturally, of Taormina. 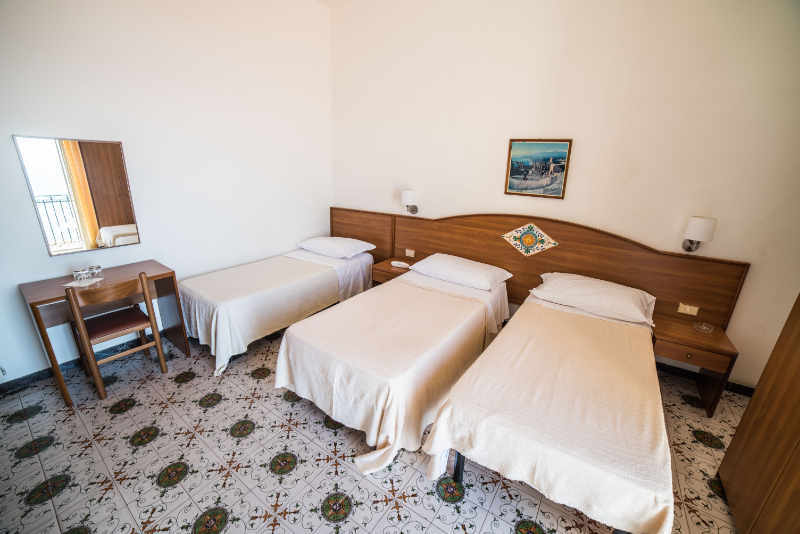 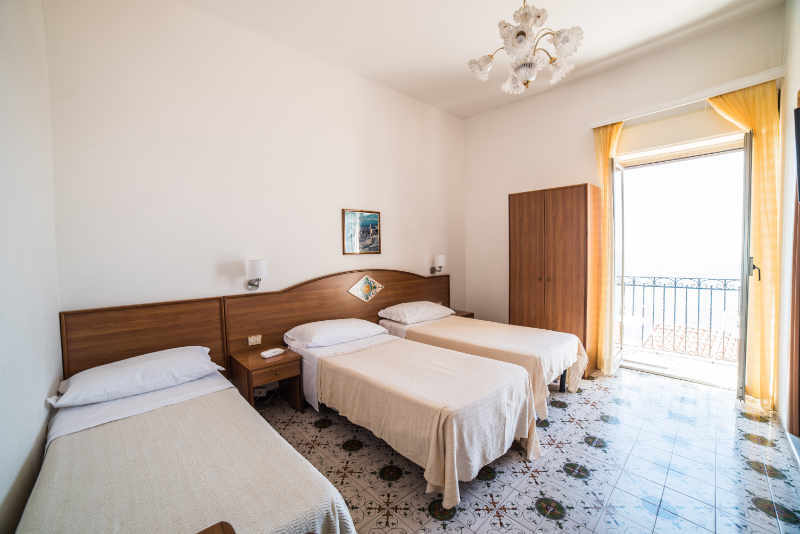 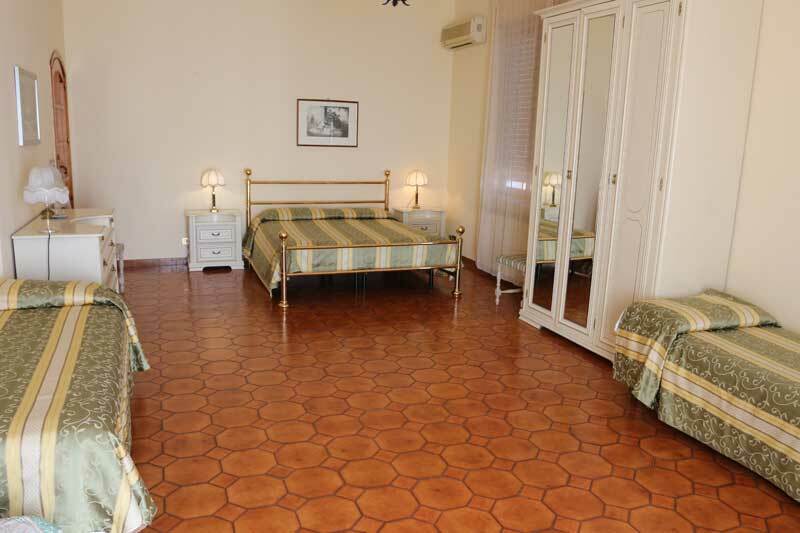 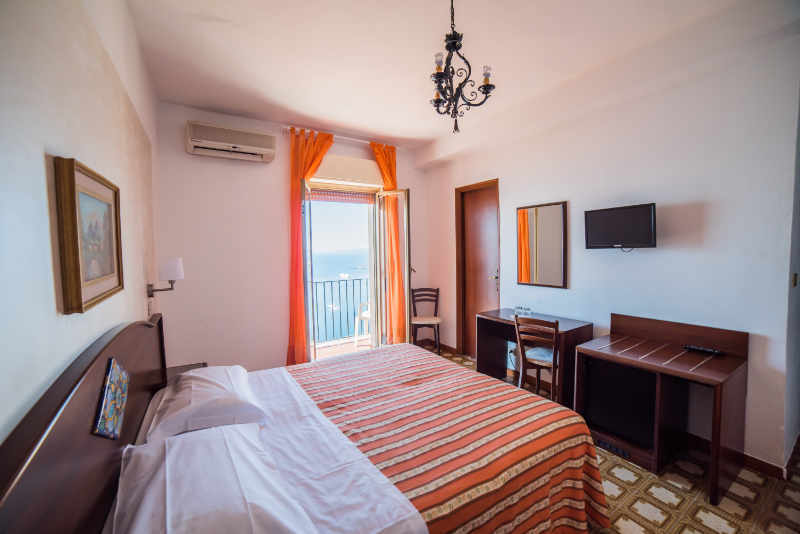 The rooms are simply furnished but each of them come with all comforts and they all have their own private bathroom with hairdryer, TV, mini-bar, heating or air conditioning and almost all of them have a view of the sea, whether of the Naxos Bay or Mount Etna.